Global technology solutions company Asurion today announced that it has been honored with a 2018 Top Workplaces award by The Tennessean. This is the fourth consecutive year that Asurion made the Top Workplace list, which is awarded to employers in the Nashville area and based on employee feedback that is benchmarked across participating companies to identify those with a strong company culture and connection to its employees. The 2018 Top Workplaces award is based solely on employee feedback gathered through a third-party survey administered by research partner Energage, LLC, a leading provider of technology-based employee engagement tools. The anonymous survey measures several aspects of workplace culture, including alignment, execution, and connection, just to name a few. The award is just the latest of many national and local honors Asurion has received in recognition as an employer of choice, and for driving operational and strategic excellence within the national tech industry. 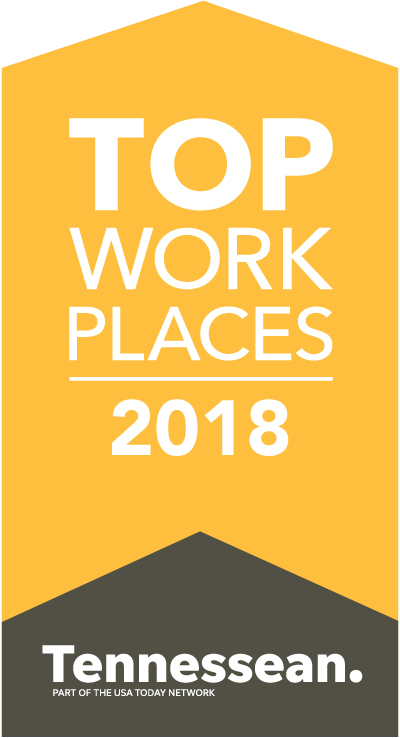 In addition to the Top Workplaces award, Asurion received certification as a 2017/2018 Great Place to Work®, was recently ranked #14 among large organizations on Computerworld’s 2018 100 Best Places to Work in IT, and was named to the 2018 CIO 100 list. Asurion was also honored as the 2018 Tech Company of the Year and 2018 Diversity Game Changer of the Year by the Nashville Tech Council.